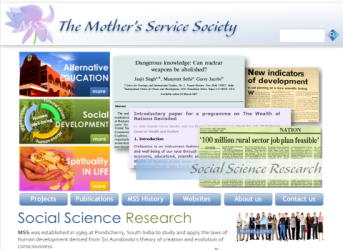 The Mother's Service Society was founded in 1969 in Pondicherry, South India, with a view to studying and applying the basic laws of human development based on the theory of creation and evolution of consciousness propounded by Sri Aurobindo and The Mother. 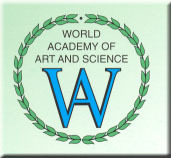 The Society’s activities now include applications to social development, business management, agriculture, economics, education, global governance, peace & security, literary criticism, psychology and spirituality. Karmayogi.net contains a very large volume of original writings in English and Tamil by the Society’s Founder-President on subjects ranging from development, education, global governance, literature and business management to science, spirituality and yogic life. The Human Science Project was established by MSS Research in 2007 as an effort to develop a unifying theoretical basis for all the fields of social science and humanities. The objective of Human Science is to gain insight into the universal principles and processes underlying all fields of human activity and accomplishment -- individual and collective -- political, economic, social, psychological and artistic. 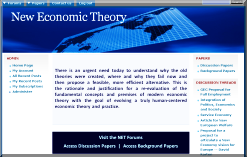 The site, which is still under construction, presently consists of twelve portals covering fields ranging from peace, governance, environment and social development to personal accomplishment, psychology, and the philosophy of science. It also includes a number of special projects in which theory will be practically applied to specific fields of activity, including Employment, Money, Internet and Values. 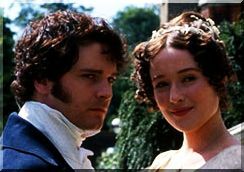 Romance Eternal is based on extensive research carried out by MSS on love, marriage and romantic relationships, the graded levels of harmony and love, the most common problems affecting partnerships, and effective strategies for increasing marital harmony and romantic fulfillment based on universal, principles of life and human relationship known to many cultural traditions in the past and successfully applied in the lives of countless individuals. The site includes articles on many subjects and an expert advice system for the public. 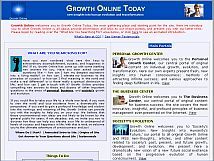 Growth Online combines years of research and experience of individuals from a number of organizations, including The Mother's Service Society (MSS), a social science research organization dedicated to research into the fundamental nature of existence in all fields of life; Mira International, a management consulting and research company; and The International Center for Peace and Development (ICPD), an organization dedicated to revealing the keys to economic and social development. The result has been a revelation of fresh, new insights into the nature of existence. Ideas like personal values, "life response", "inner-outer correspondence", the process of growth, the theory of creation, and the spiritual Reality have opened the doors to a new understanding of the nature of existence, and provided a path to our ultimate evolutionary potential.